Will this fit the ETS mid pipe??? A: Yes, this would bolt up to the ETS midpipe. Do you know of anything that will fit my Invidia Y pipe? A: Sadly, only Invidia products will be confirmed to bolt up to the Invidia mid pipes. 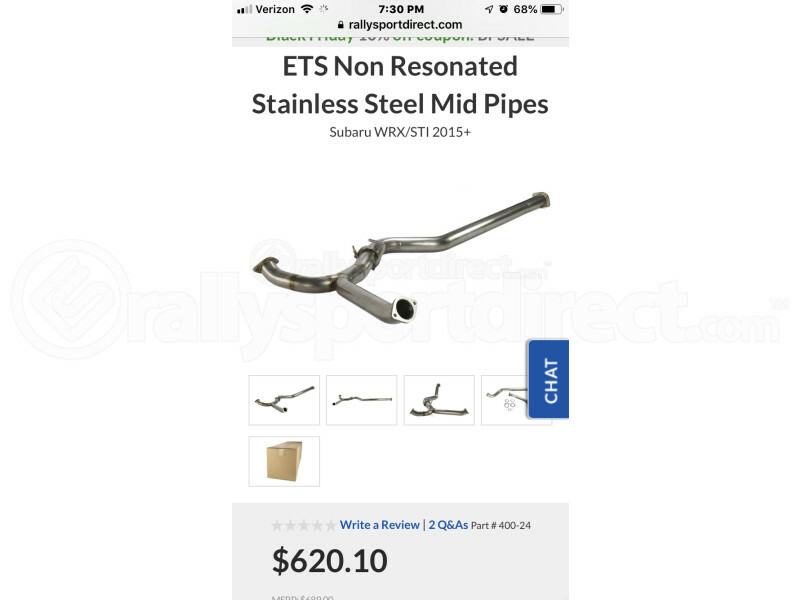 I have an invidia stainless steel exhaust system but the mufflers are huge and I was wondering if these would be compatible. I own a 2016 subaru wrx. A: Unfortunately, this would not bolt up to Invidia's mid pipe/y-pipe. Will these fit spt ?? A: I am assuming you mean on the catback? If so we cannot confirm fitment. will this fit a 2011 sti with an invidia cutback if I take the mufflers off? A: These are only confirmed to fit the 2015+ models at this time. Will these fit on a 2011 sti? or did they change the exhaust dimensions on the new models? Is this exhaust Axle back or Cat back type. Pictures and details are of an axle back type exhaust. However the product description says Cat back and it comes up when you use the cat back exhaust system filter. Can you please advise? A: This is just the axle back exhaust.